Church of the Blessed Sacrament is partnering with St. Mugagga School to fund projects that are making a positive impact in the lives of St. Mugagga students. Completed in 2018, funded by Church of the Blessed Sacrament. Brother Frank: "We renovated the building, the roof, installed electricity, closed the building with metallic doors ,windows,and glasses, plastered and painted inside & cemented it thoroughly. No dust or giggers now! 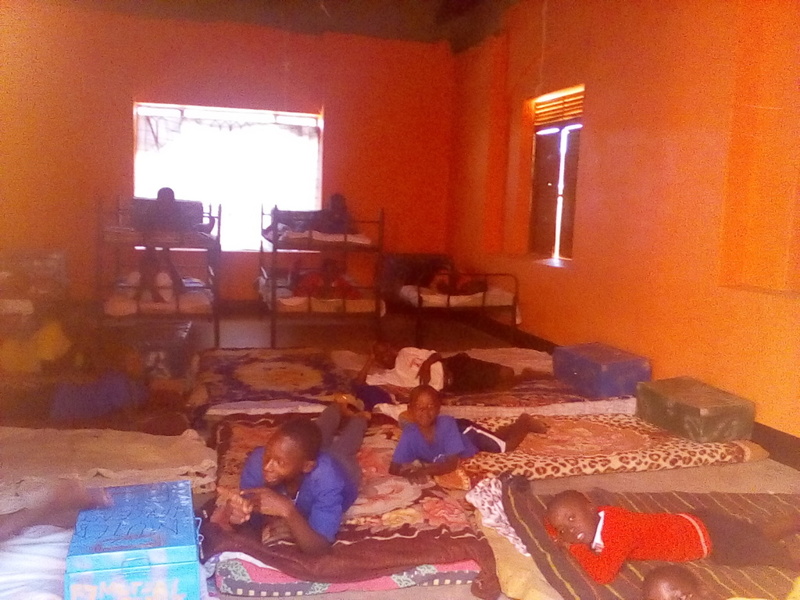 The dormitory is now neat and healthy to stay in ,the boys are happy because their dormitory is clean ,well painted and cemented despite the fact that some sleep on the floor with no beds they are happy." Completed in 2017, funded by Church of the Blessed Sacrament. St. Mugagga school opened in 1934 as a boys' school. Over the years, increased interest by local families in educating daughters as well as sons has led to increased enrollment of female students at St. Mugagga. Currently, the ratio of male to female students is approximately 50:50. This is wonderful news! However, the lack of adequate dormitory facilities for female students has become a significant problem. The current girls' dormitory at St. Mugagga was designed to accommodate 40 students. Eighty girls are now housed there, with the remaining female boarding students allocated to small rooms in different corners of the school. This extreme overcrowding continues to pose numerous challenges for students and staff, including difficulties in monitoring maintaining discipline among students. 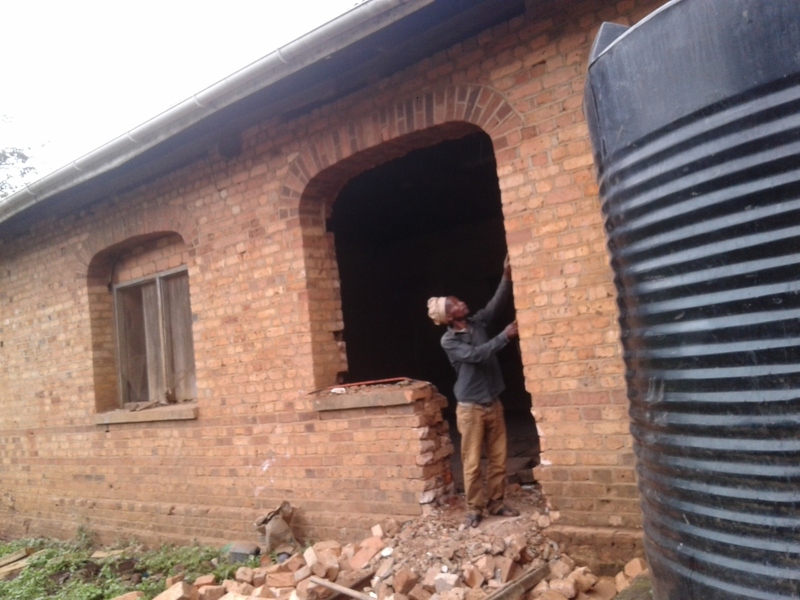 Construct a new girls' dormitory that will accommodate 300 female students at St. Mugagga School. Total projected cost for this project is $15,412.00 U.S. Dollars. Parents, students, and Brothers will be fully involved in providing unskilled labor during the construction process. Dilapidated classroom buildings roofed with old leaking asbestos sheets and tiles posed a serious threat to the safety and academic success of the 400 students who attended class in those buildings. The asbestos tiles in particular were very catastrophic to the lives of students and teachers. Worse still, timber supporting the roof had become very old and was in danger of collapse. 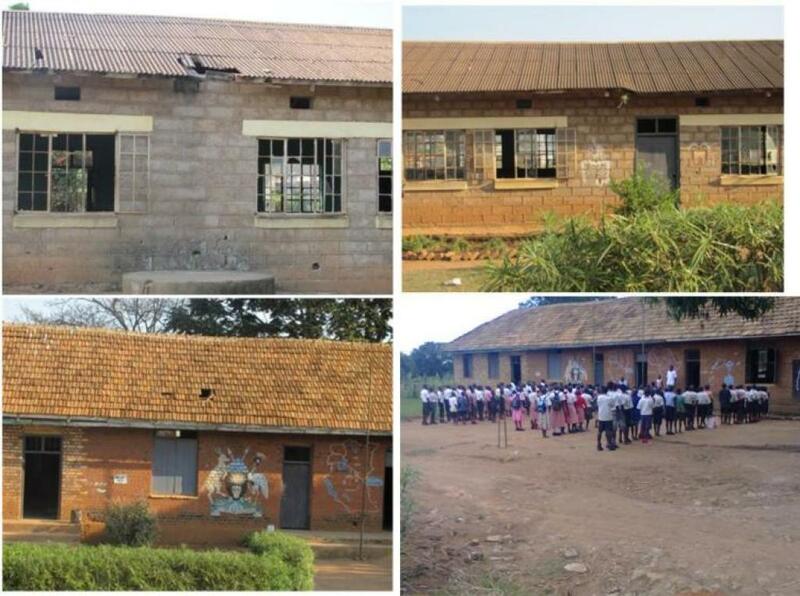 During the rainy season, the leaking roof caused students and teachers, as well as their learning/teaching materials to get wet, thereby causing lessons to be interrupted. This obviously negatively impacted the academic performance of the students and concentration during class sessions. In addition, the old asbestos iron sheets and tiles of the classrooms had sometimes become a breeding place for rats, snakes and bats, posing a danger to the lives of the students. COST: Total cost for this project was $18,009.00 U.S. Dollars. 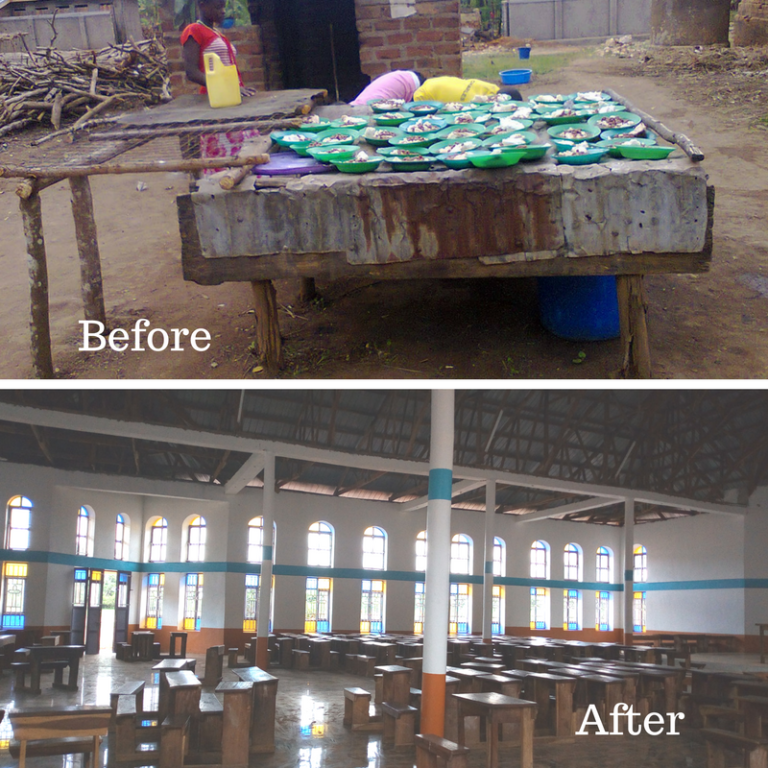 Although most families in the area live below the poverty level, parents were encouraged to contribute funds to be placed in a school account for the continued maintenance of the renovated buildings. This renovation project was completed in 2013, thanks to a financial partnership with Church of the Blessed Sacrament! 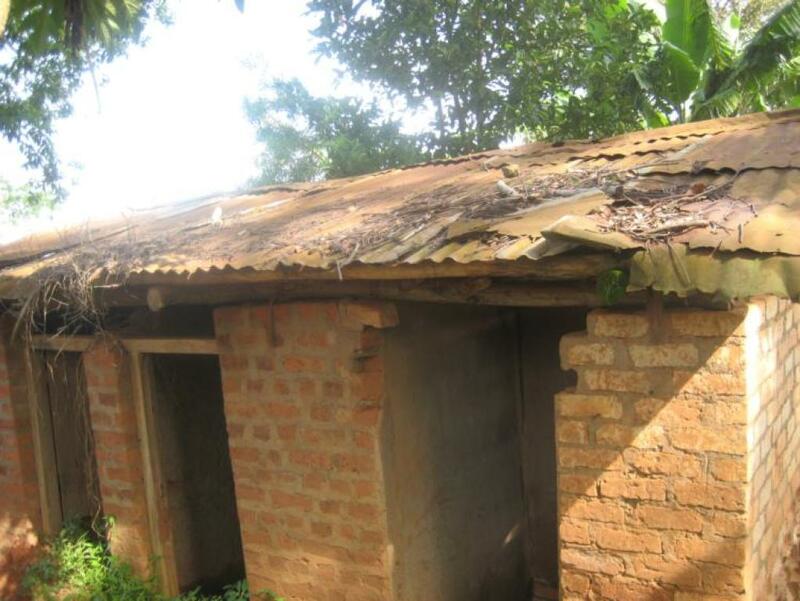 Old, dilapidated latrine buildings and a lack of shower facilities were causing considerable difficulties for the students and staff at St. Mugagga School. A lack of proper sanitation facilities were creating increased health risks, which is an especially serious concern in an area with limited access to medical facilities. In addition to contributing to health concerns, a lack of adequate sanitation facilities had been contributing to a decrease in school attendance among girl students, especially as they reached puberty. A lack of shower facilities meant that girls needed to wash in school common areas, without the benefit of privacy. Girls’ understandable reluctance to do this often led to their choosing to leave school before their education was complete. 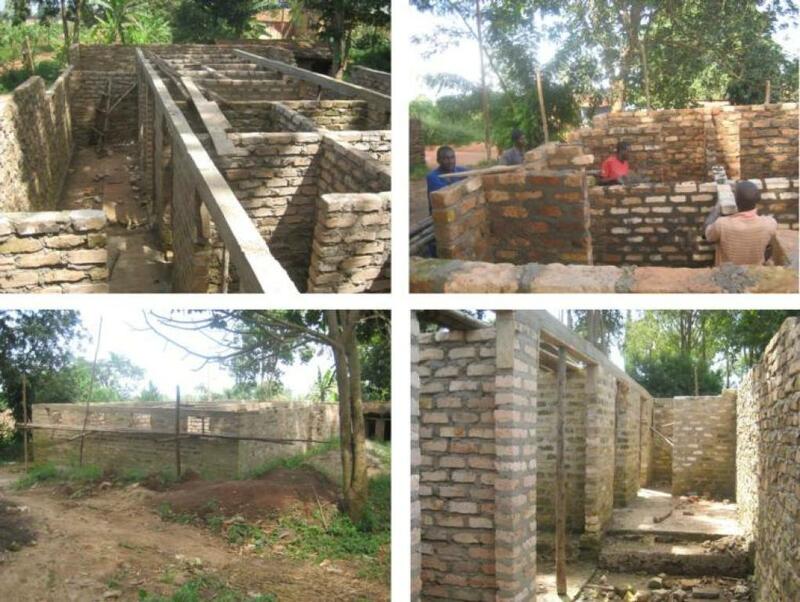 A financial partnership with Church of the Blessed Sacrament allowed for the construction of new pit latrine buildings and shower facilities at St. Mugagga School. These basic shower facilities do not have running water, but do have rows of stalls that allow users privacy while washing themselves using a bucket of water and sponge.